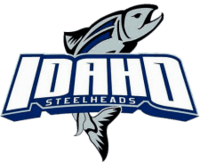 The Idaho Steelheads have been accused of a clipping violation of sorts against the fans. 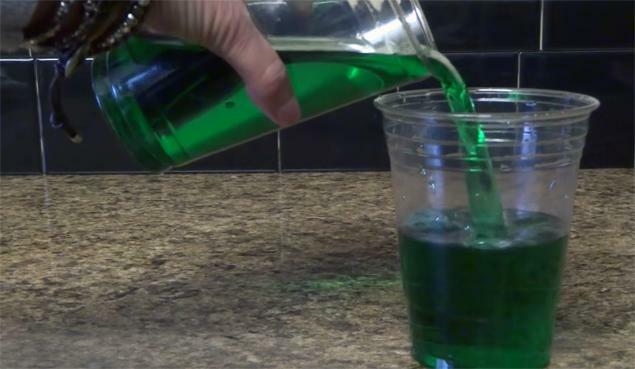 A YouTube video appears to have spawned a lawsuit after a Boise fan showed how a $4 cup of draft beer holds the same amount of brew as a “large” $7 cup. The video by Gwen Gibbs is below. Gibbs was miffed when she watched Gwen Gher boyfriend, Heath Forsey, pour the large beer into the smaller cup. Four Idaho Steelheads fans — Brady Peck, Michele Bonds and William and Brittany Graham — have filed suit for deceptive business practices against the operator of the sports arena, Block 22 LLC, which does business as CenturyLink Arena. Appropriately enough, the company owner is named Eric Trapp. Peck described the horror that he felt when he learned the truth after attending at least 30 events over the past three years at the arena. Even if we assume just three beers a game, that would amount to a loss of 12 ounces a game or 360 ounces a year. (Of course, Trapp could ask for credit in cost savings associated with drunk driving and hangovers). Trapp posted a statement saying that the company will move to 24-ounce cups for its $7 beer instead of the 20-ounce cup. What is interesting is that even moving to a 24 ounce cup from a 20 ounce cup, that would still leave the customers paying $3 for just four ounces — a higher percentage profit on the last 4 ounces than the first 20 ounces. For $8 you would get 36 ounces instead of $7 for 24 ounces. I will only add that watching the video below reaffirms my faith and optimism in America. These brave steelhead fans are direct descendants of those brave men pouring tea into the Boston Harbor. Next time you see a guy painted salmon-color and wearing a fish on this head, stop and shake his hand. He and his fishy friends are the thin salmon line protecting citizens and their full-sized American beers. My guess is that the sports franchise/stadium had no idea of the difference. The packaging is probably labled 24oz. I’ve seen this happen before, if I remember correctly, this happened at the Seattle Seahawks stadium a few years ago. I read recently that a large fry order at McDonalds has, on average, 14 more fires than a medium order. Are we going to see a lawsuit against McDonalds?